We all know the importance of a good C-T-M routine everyday but hardly anyone stresses on exfoliation. Regular exfoliation is an equally integral step of a good skincare routine for a clear and glowing skin. Our skin suffers a lot due to dust, pollution and sun rays. Regular scrubbing or exfoliation helps remove the dead skin cells, whiteheads and blackheads resulting in healthier skin. A good face scrub deeply cleanses the skin which a face wash or cleanser cannot. Since my skin is turning slightly towards the drier side this season, I’ve had to switch up my skincare products as my regular face scrubs were drying out my skin. 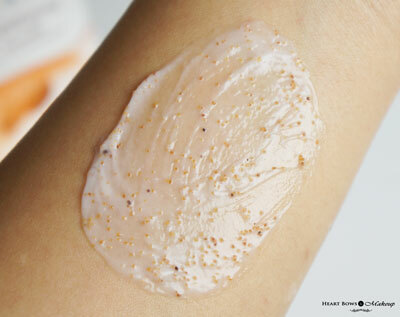 That’s when I gave the Himalaya Gentle Exfoliating Scrub a try. Read on to know if this product is worth buying. 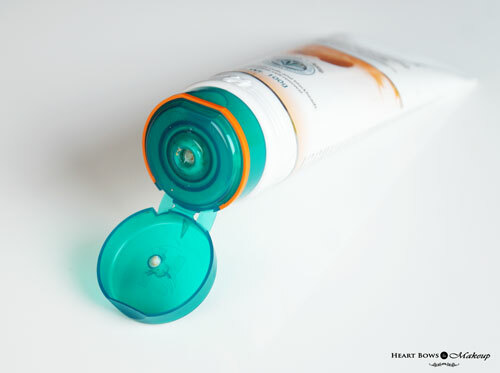 The Himalaya Face Scrub is packaged in an opaque squeez-y tube with a flip open cap. All the necessary details like ingredients, product claims, date of expiry, price etc is mentioned on the pack. It has a small opening which helps squeeze out the right quantity. The packaging is simple, fuss free and travel friendly. This is a cream based scrub with fine walnut particles. I was looking for an exfoliating scrub with slightly abrasive granules which would remove blackheads effectively but something that does not dry out my skin either. 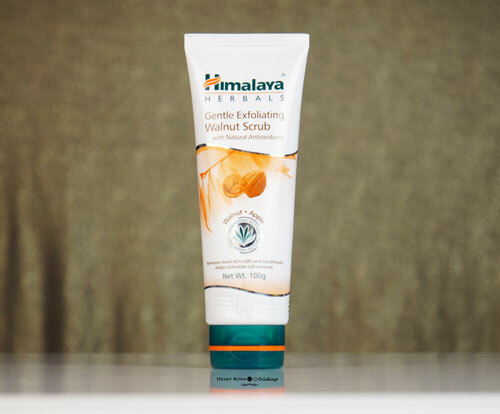 The Himalaya Walnut Scrub fits the bill perfectly. It effectively sloughs away dead skin cells and the blackheads on my nose have lessened considerably with regular usage. I hardly have the time to go to a salon for a facial so I end up doing a clean up at home with this scrub followed by the Himalaya Fairness Face Pack. The scrub also contains apple and wheatgerm oil, which has great anti-aging properties and vitamins that help reduce fine lines and wrinkles. This is the best scrub for dry to combination skin in India which is gentle yet effective. Those with oily skin can also give it a try though it might feel a bit greasy. The only issue I have with it is its scent. Since it’s a herbal product, the scrub does not contain any fragrance and the medicinal scent is initially a bit hard to get used to. 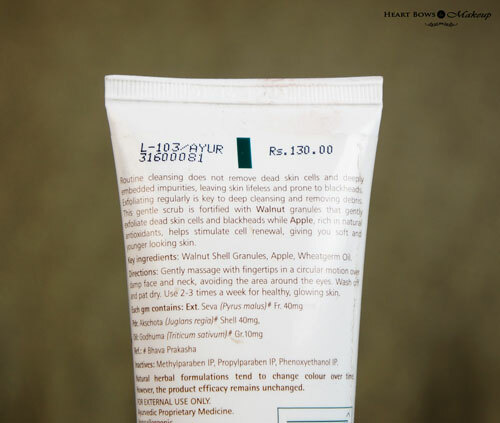 Overall, it’s a great affordable scrub easily available in India, which is perfect for use by both women and men. 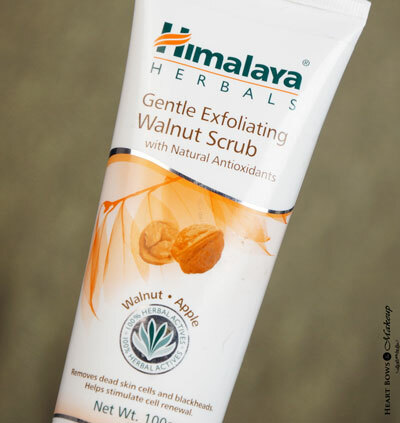 HBM Recommendation: Himalaya Herbals Gentle Exfoliating Walnut Scrub is an effective product which removes dead cells, whiteheads and blackheads. 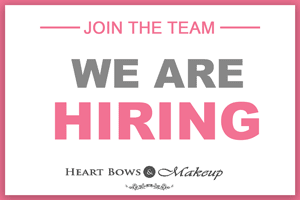 It does not dry out my skin and is perfect for dry to combination skin type. The scent initially bothered me a bit but after a couple of uses one gets used to it. This is a budget friendly herbal scrub which does the job well.